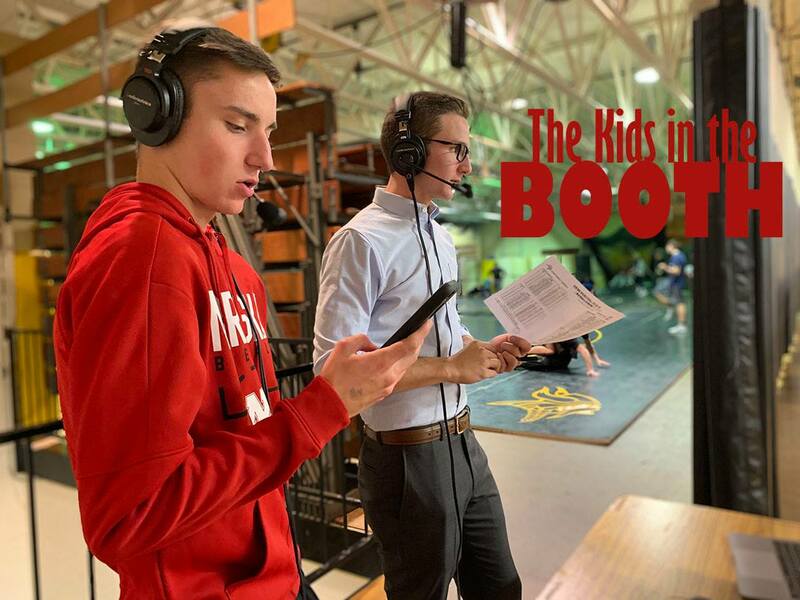 Part One: The Kids in the Booth | Nebraska Public School Advantage - The power of public education. Grand Island Northwest senior Luke Jacobs remembers his first broadcast with Tyler Rinkol, a basketball game between the Vikings and Columbus. The pair of in-booth partners had both long-admired Nebraska radio icon Kent Pavelka. They’d done ample preparation. They’d been up and down and over the game notes. They planned to emulate some of Pavelka’s flair for the dramatic, the way he transports listeners from their car seats to the courtside, and adopt a touch of his infectious style. They were ready. Then the ball was tipped. The first playback is usually painful to listen to. Many sportscasters can attest. But each night out is a chance to improve, so Rinkol and Jacobs and the entire Striv.TV crew at Northwest started to master their craft. The play-by-play team developed a system. One commentator handled the introduction. The other took care of the starting line-ups. One focused on one team, while the other concentrated on the opponent. Digital media specialist and Striv adviser Matt Hinkel helps the broadcast teams with preparation, developing cheat sheets packed with statistics and other filler material. It helps to have resources. “It’s going to be scary and difficult the first time you do it, but if you have someone to teach you, that really helps,” Jacobs said. Enter technology integrationist Heather Callihan, who came on with the district in 2012 with a vision to build a strong social media presence. The goal for Callihan’s vision was to effectively reach the community while offering additional avenues of experience for Northwest students. The administration at Northwest didn’t hesitate much at all, and Striv started to soak into the school’s culture. “They are performing for an audience and expanding the classroom walls,” Callihan said. 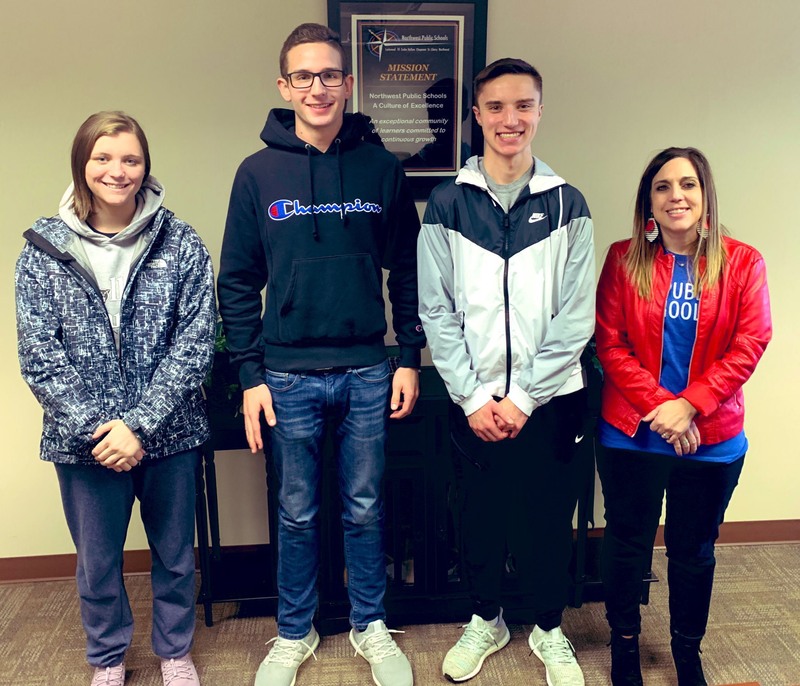 *Pictured Above: Northwest seniors Maddy Oakeson, Luke Jacobs and Tyler Rinkol are three members of the Grand Island Northwest Striv team. They are joined by Heather Callihan, who was on the ground floor of bringing Striv to the school six years ago. Not all of Callihan’s Striv kids, and there’s about a dozen involved, provide color commentary or play-by-play action. For some, like senior Maddy Oakeson, the experiences are gained through social media and behind the scenes. Or behind the lens of a video camera, rather. Long story short, says Oakeson, she never envisioned herself creatively crafting content and filming basketball games for a student broadcast. One of Oakeson’s favorite parts of working a game is listening to the commentary from Rinkol and Jacobs through her headset while trying to capture the same kind of action angles she grew up watching on ESPN. Listenership has grown, as have the personalities of each on-air talent. Rinkol and Jacobs love hearing feedback, even if it’s a request to shift the camera a smidge or two. It lets them know people are tuned in. Grandparents, Northwest alums, or fans from other schools. Rinkol, who plans to pursue a career in broadcasting, appreciates all the thanks and words of encouragement. It makes him want to do more. For Callihan, satisfaction comes from seeing her students gain experiences unique to high school kids throughout much of the country. Where exactly are they going next? The future is the most exciting part. *This is the first installment of Striv, Schools and Stories, a three-part series. Come back tomorrow for Part Two: The Startup. "By both design and principle, public schools are committed to every student who walks through their doors no matter his or her capabilities, background or socioeconomic status."